Classic LifeCare is proud to sponsor a Canada Day charity barbecue in Langley with proceeds going to the Burn Camp for burn survivors. 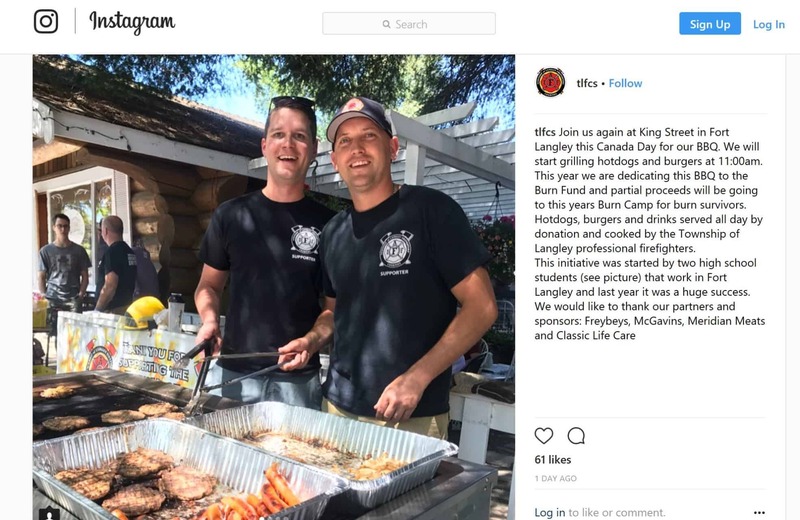 The barbecue will be blazing starting at 11am with hot dogs, burgers and drinks served by Township of Langley Professional Firefighters all day by donation. This fundraiser was started by two high school students in Langley (pictured) to raise money for their community. Previous PostARBI Pancakes for Stampede have Calgarians saying Yeehaw!